Your personal innovation toolkit to become a change agent in the aging field. 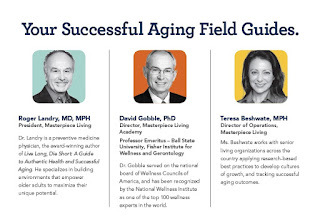 Best practices to incorporate successful aging into your organization. The leadership skills to stay ahead of the curve in this rapidly evolving field. An action plan to guide your personal and professional development. 10 NAB Continuing Education Units.